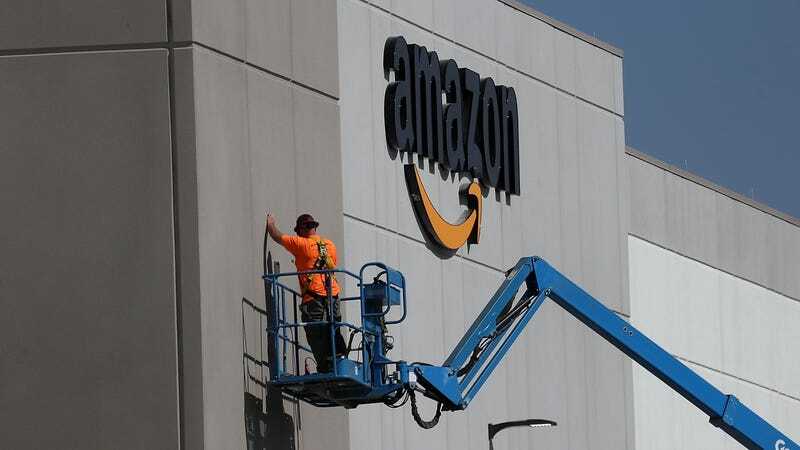 Amazon announced this morning that the company will raise its minimum wage to $15 for all American workers, including seasonal employees and those employed by temp agencies. The move is a direct result of public pressure from people who have criticized Amazon for low wages, grueling conditions, and the fact that many Amazon employees rely on food stamps. One in three Amazon warehouse employees in Arizona, for example, are on food stamps. The new $15 minimum goes into effect on November 1st and will impact 250,000 American Amazon employees, as well as more than 100,000 seasonal holiday employees that are being staffed up for the coming busy season. The current federal minimum wage is $7.25 per hour, which hasn’t been changed since the summer of 2009. Some major cities have taken it upon themselves to raise their minimum wage, including Seattle which went to $15 earlier this year. Amazon also says that the company plans to lobby the U.S. government for a change to the minimum wage. Unions and workers rights activists have been calling for a $15 minimum wage for years. Workers at Whole Foods, which was bought by Amazon in 2017 and has recently seen workers try to unionize, are also getting a raise. Amazon has been aggressively anti-union in leaked video obtained by Gizmodo. Jeff Bezos, the richest man in the world with over $164 billion, has come under harsh criticism for employing a low paid workforce, many of whom rely on food stamps to survive. Amazon has also been criticized globally for not paying its fair share of taxes. The global tech giant is also being investigated by the European Union over how it handles consumer data. European workers were not mentioned in Amazon’s press release. Whatever its motives, it’s a good thing that Amazon is starting to pay workers more. And as you can see from the statement by Bezos, this was a direct response to criticism. Public shaming works. And unions are even better. Update, 7:50am: In a blog post for Amazon UK, the company has announced that minimum pay in Britain is being raised to £10.50 in the London area and £9.50 in the rest of the country. The cost of living in London is significantly higher than the rest of the country. “Let me take this opportunity to thank the many hundreds of Amazon workers who contacted our office talking about the wages and working conditions that they were employed under,” Sanders said. “We also want to take this opportunity to thank the heroes and heroines at the Fight For Fifteen movement, a movement that started off in the fast food industry many years ago and is sweeping the country,” he continued. “What Mr. Bezos today has done is not only enormously important for Amazon’s hundreds of thousands of employees, it could well be, and I think it will be, a shot heard around the world,” Senator Sanders said, explaining that there’s “no reason” why other employers in the U.S. shouldn’t be paying at least $15 per hour as well. Why Is Amazon Scared of Bernie Sanders?